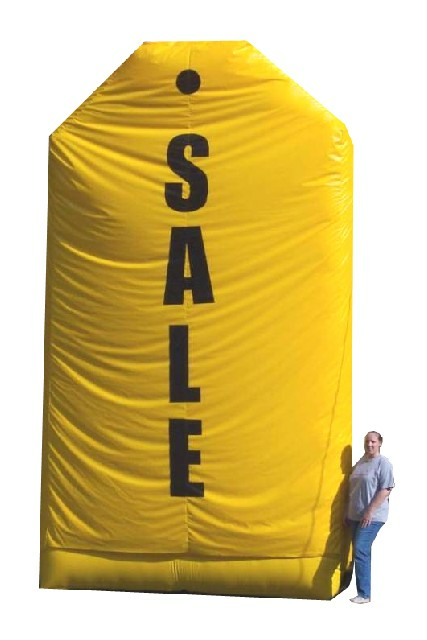 Giant inflatable Sale Tags are a must if you are in the inflatable advertising business. They are great for car dealerships, store fronts, electronic stores, everybody has sales. They are a great way to bring business to your store. Big presence. The cover is removable and can be replaced with a new or different color cover or with different wording. Extra covers sold separately.